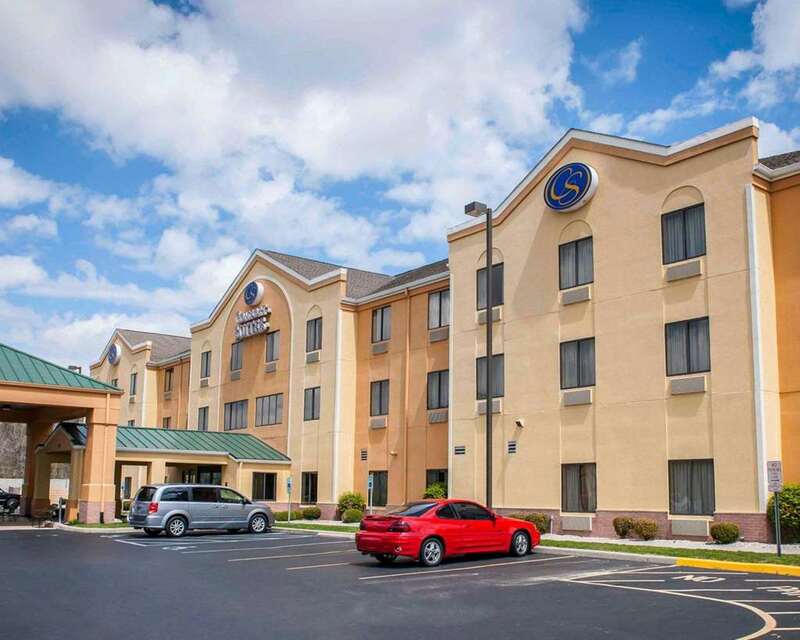 Get more of the space you need to spread out, relax or work at the Comfort Suites hotel in Brownsburg, IN, just west of Indianapolis. You can take care of basic business needs at our smoke-free hotel with free WiFi and access to copy and fax services. Then, relax in your spacious suite, which features a convenient charging device for your electronics, as well as a TV, hair dryer, safe, coffee maker, iron, ironing board, microwave and refrigerator. Hotel amenities also include free hot breakfast, an exercise room, indoor heated pool and laundry facilities. Also, earn rewards including free nights and gift cards with our Choice Privileges Rewards program.